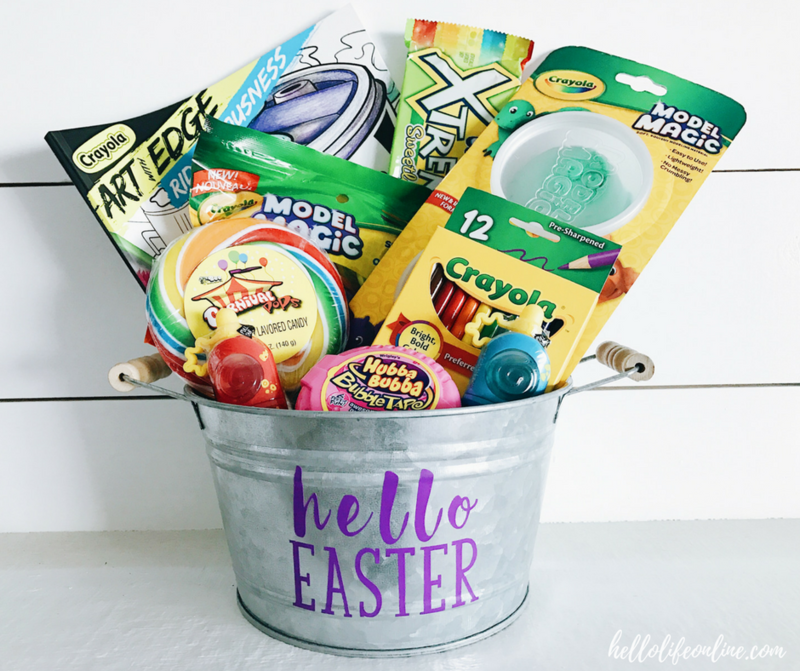 Easy Easter Basket– No time to make an Easter basket? No problem! 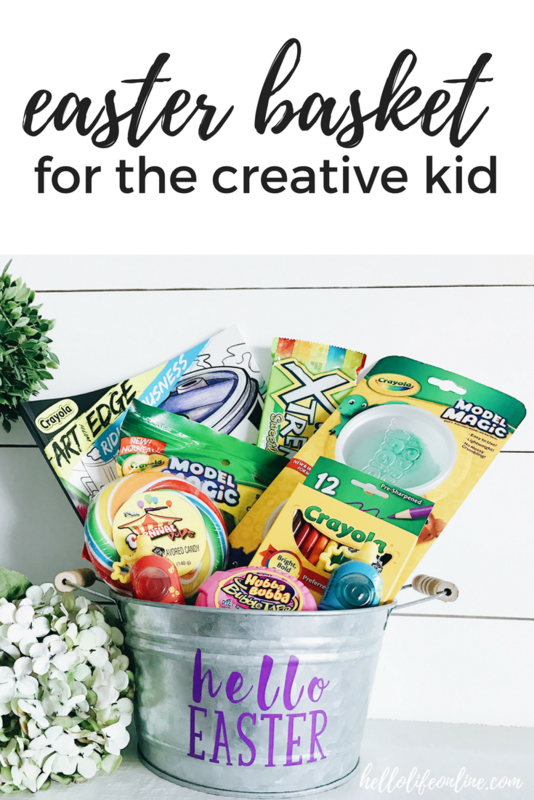 Your creative kids will love this Easy Easter Basket. Grab a container, and throw some candy in, your kids will love this easy idea! Easter is one of my very favorite holidays. As a Christian I recognize it as the most significant event to ever impact the faith. 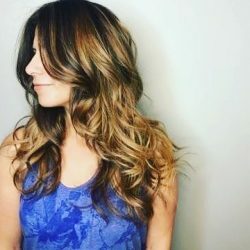 As a mama, it is also a super fun holiday, no matter how old my kids get! While the bunnies and eggs are meaningless in the grand scheme of things, they are still so fun to enjoy on Easter! I start the countdown to creme filled chocolate eggs pretty close to the new year, I wish I was kidding! Family, food, and hunting for eggs are a great part of this holiday, and although my kiddos are getting older, they still enjoy treats and gifts for Easter. While my days of making or buying elaborate Easter baskets are pretty much over (sigh), I can still put something fun together for them. This year I thought I’d appeal to my son’s creative side. 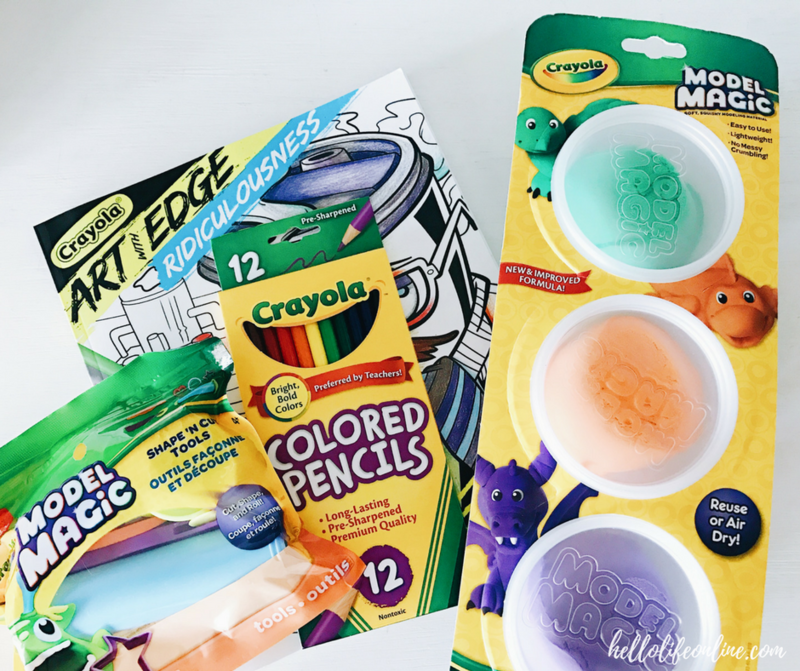 Michaels makes it pretty easy to walk in and grab a few cool items and make an Easy Easter Basket for the creative kid. Using non traditional items like a galvanized metal bucket instead of a wicker container can add a little ‘maturity’, if you will, to the basket. So it’s not so ‘little kid-ish’ but can still hold lots of goodies. 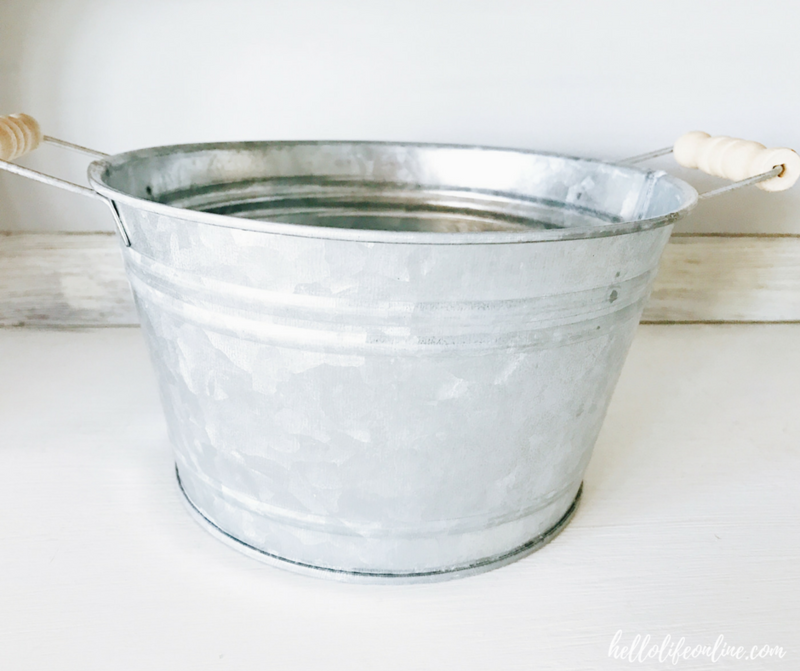 This galvanized metal bucket was 50% off (score!) in the seasonal section at Michaels. 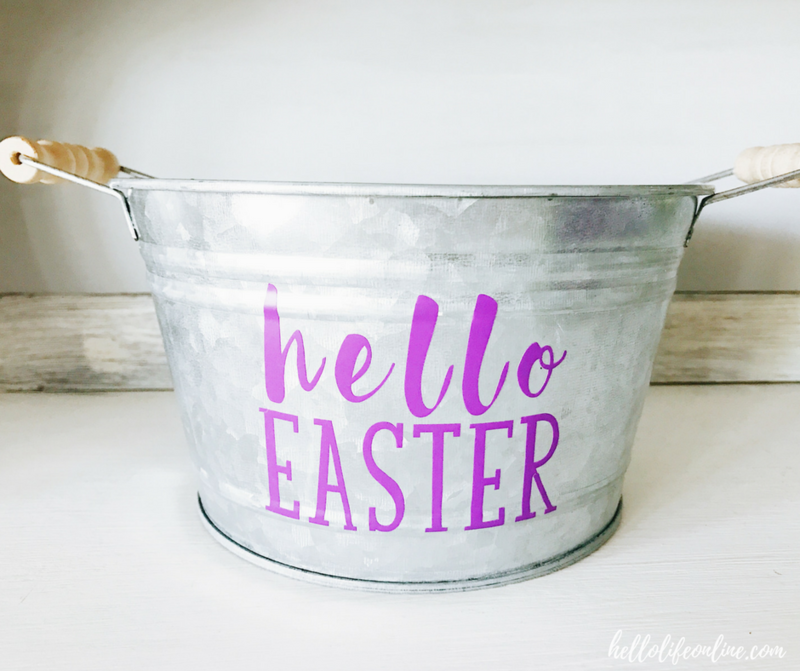 With a little assistance from my Cricut Explore Air 2, I was easily able to create some wording in vinyl to liven up bucket. 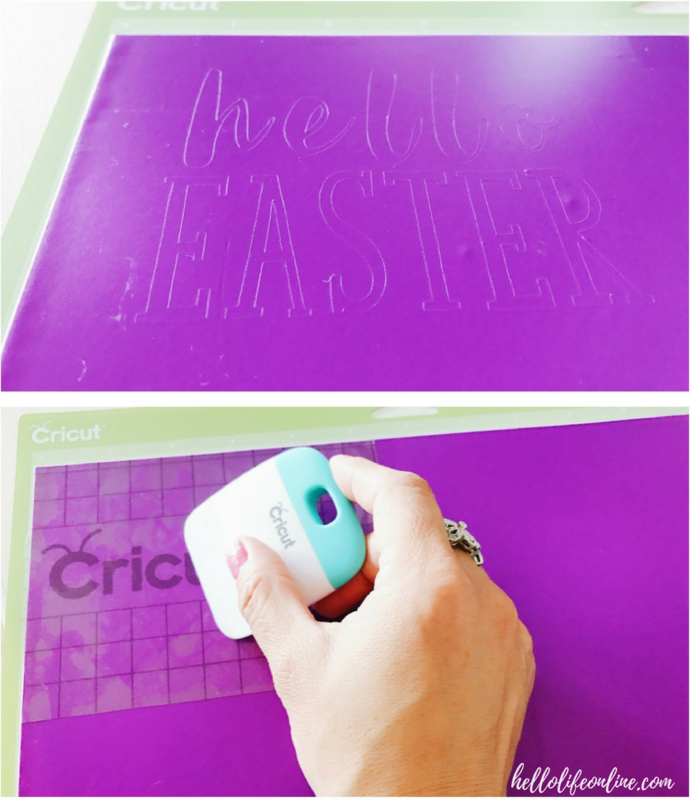 I used Cricut Design Space and purple vinyl to design the ‘hello Easter’ wording. Then set it to cut on the machine, and carefully peeled it off with the weeding tools onto transfer paper. Using transfer paper is important for spacing and making sure your wording is centered. At Michaels, I picked up as much as I could fit into the basket, mostly Crayola items and candy. Yes, Michaels sells candy! So simple to place the items in the bucket, and surprise your kiddos on Easter Sunday! Make it the best Easter with Michaels! They have everything from eggs to baskets, to bunny decor and more! 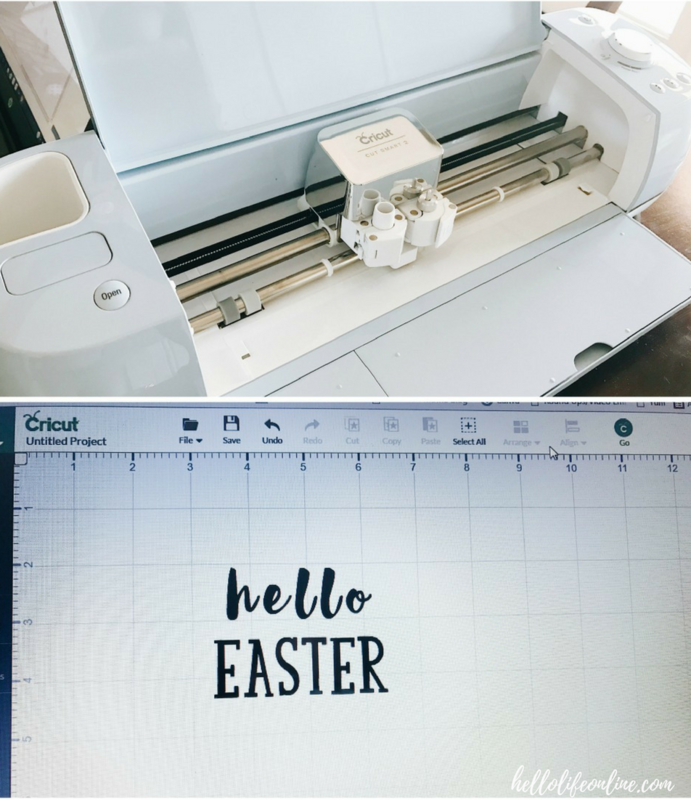 If you’re looking for more inspiration make sure to visit Michaels’ blog, The Glue String, to see the rest of the Michaels’ Makers Easter project ideas.